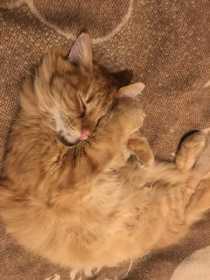 Jif is a fluffy orange long hair tabby who went missing in Powderhorn Park MPLS. He loves the outdoors, and is very friendly. We’re very worried about him in this weather. Please contact us if you see/hear/have heard anything. Thank you!! !